I need a bigger thesaurus to praise this! This is a sparkling example of what happens when brilliant, funny, true writing meets realy good production, and is given voice by some of our finest acting talent. This story is by turns wise, funny, and deeply moving. It is true in the way that only great fiction and drama can be. There is not a bad performance in the cast. 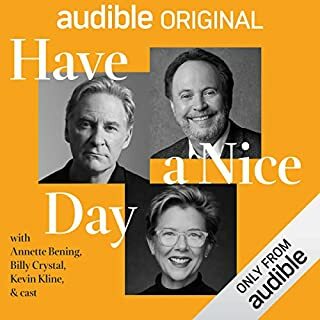 There are complex and messy relationships here, for instance between Kevin Klein's and Annette Bening's characters, and evocations of love, loyalty, and courage that are balm in a mean and crazy world. I might have cried a little bit at points, though I'd never admit that of course. I certainly smiled a lot. This one's a keeper, and one I'll be trotting out for friends and family at some time in the future. Enjoy! A good telling of this startling story. 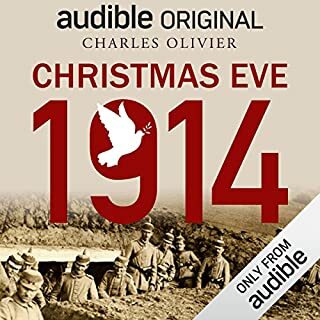 The story of the Christmas Eve 1914 truce on the western front of World War I is one that I've known about since I was little. This telling of that story adds in a nice bit of tension around how such a truce might have begun. You will be following a series of likable characters in a story that, for me, just misses being a perfect gem, as there is a bit too much obvious heart-string pulling. I'm dinging the performance only because I'd like to have had some more immersive audio in a play set against the backdrop of the western front. The actual performances are spectacular. This one is well worth the time you'll spend with it, and some of you may need tissues. 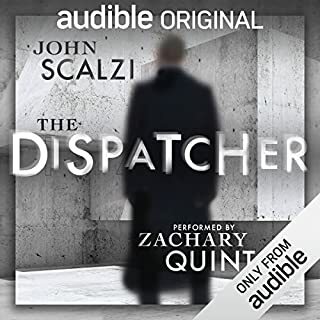 This audible original is a spare and chilling evocation of a world much like ours, except for the fundamental difference that death need not be permanent under special circumstances that make morality a lot grayer and more interesting. Scalzi's taut writing and Zachary Quinto's delivery conspire to make this two hours extremely well spent. Fans of the sort of Golden Age science fiction that asks the question "What if thing X about the world were different," will find this a splendid throwback to this form, combined with excellent writing that was often missing in the older forms of the genre. Enjoy! This one's worth your time. 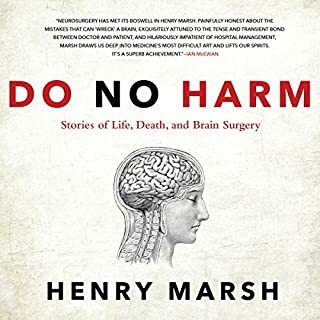 As I read "Do No Harm" I found myself by turns bored by the endless litany of case after case, horrified by the apparent emotional life of the authorial voice, and annoyed at the narrator's effort to inject drama into the story. The topic of neurosurgery and the ways in which it is used contains the possibility for fascinating stories, if those stories are well curated, and if the storyteller can get out of his own way. Henry Marsh does not do that, and, while a British reader may find his endless carping on about the deficiencies of the National Health System, American readers may, as I did, find it rather off-putting and beside the point. I really, really wanted to love this. I adore Fiddler on the Roof. Let's begin this review with that fact clearly in mind. I was excited to hear about this Audible original, telling the story after the close of the musical, itself in musical form. What we get is, well something rather different that is as much about the author as it is about the story. 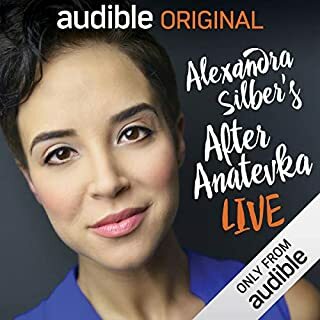 Alexandra Silver is very likely a wonderful person whom I would very much enjoy talking to, and whose book I probably want to read. That was not what I wanted to do while listening to this title. I wanted to hear a story, and listen to beautiful music, not hear a process story about how she came to write the book upon which some songs are based. 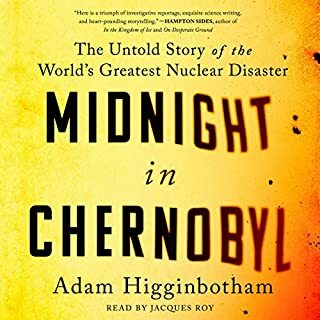 This expectation mismatch is not something I will hold against the work or the author, as I feel the mismatch may be more due to how Audible has described what to expect. What I can hold against the work, and against the craft of the author is that the pieces of text that were read did not sing in the way I wanted them to. They did not feel like a continuation of the story. It is perilous to enter into another author's world, and I just didn't find Ms. Silver's prose to be compelling. Of the songs, I will say that a couple of them are absolutely stunningly beautiful in composition, and one carries that beauty through into its execution. I personally find the other performances to be just fine, but not great. I cannot advise another reader with different expectations about this work. If what you want is to virtually attend a happening, this is an enjoyable one. That's not what I wanted, hence my less than enthusiastic rating. This work of history has given me a new way to look at events I thought I knew very well, as I was becoming aware of politics when they were happening. 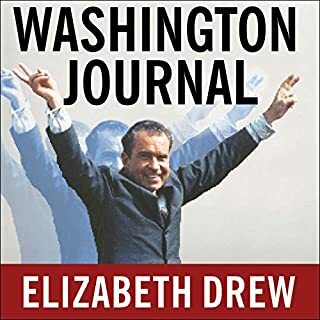 In particular, Elizabeth DRew captures the feelings of doubt and fear that were in the air, concerning the ability of American political institutions to survive the acts of the Nixon administration. More than just a detailed ticktock account of the year of Watergate investigation, this book provides a window into the thinking of the time from a thoughtful observer of events. It's eerie reading this book now, in the midst of another investigation of another administration. I recommend reading this book to people on all sides of the current political division for the parallels one can find between the current political uncertainty and the events of 1974. There are many possible cautionary tales to be gathered from Drew's excellent book that would be well for partisans on all sides, and for thoughtful readers of this book. 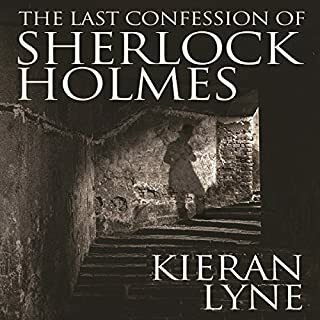 In the dawn of 1891, Sherlock Holmes is locked in a deadly game of wits with the sinister Professor James Moriarty, but events will soon transpire that will question the very outcome of Reichenbach. With Holmes presumed dead, the streets of London are panic-stricken as a resurrected terror takes hold of the city whilst in the upper echelons of government, a singular, undetectable force can once again be felt manipulating the criminal underworld. 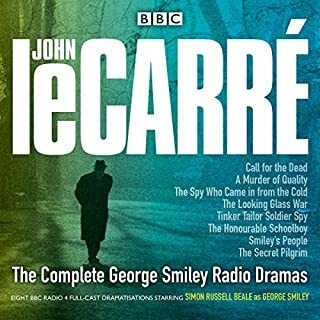 Where does The Complete George Smiley Radio Dramas rank among all the audiobooks you’ve listened to so far? What other book might you compare The Complete George Smiley Radio Dramas to and why? In the pantheon of BBC productions, this ranks with their Lord of the Rings. What does full cast and Simon Russell Beale bring to the story that you wouldn’t experience if you just read the book? George Smiley is such a wonderfully complex character, so frail in some ways and so utterly strong and humane in others. Beale's performance captured this in a way that brings le Carre's masterwork out of the page. It's been done, it wasn't as good. The Bbc is justly famous for their radio productions of literature. The entire cast of this sprawling production is excellent, the music is precisely right, the audio production is, of course, beyond compare. All that serves to bring forth a story that was already amazing. I had read the Tinker Tailor books, but the performances here are now my definitive version. Would you listen to The Children of Hurin again? Why? The Christophers, Tolkien and Lee have between them created a magical product for the Tolkien fan. 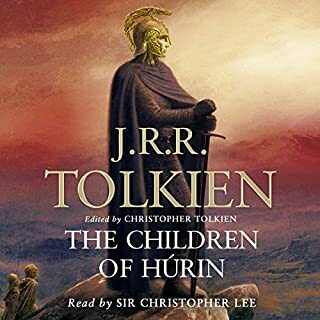 The tale of the children of Hurin is one of the foundational stories of the Legendarium, beautifully written by J. R. R., masterfully assembled by Christopher and read with love and skill by Christopher Lee. For any lover of the Tolkien works, this is an indispensable performance.